Bride and Groom to be Heather and Jordyn are prepping for their summer wedding. 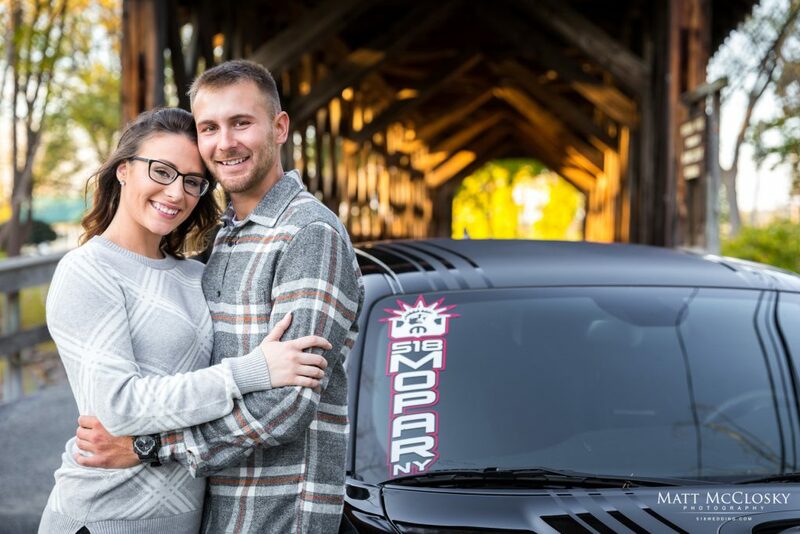 Set to be married September of 2019, this super fun couple recently spent a little time with us. We visited a covered bridge in Central Bridge, NY for their couples photos. We also had time for some creative shots incorporating one of their favorite common interests, cars. Heather brought her silver Focus ST and Jordyn had his black Dodge Challenger RT.